Calling Midori's eyes green is like calling a cat just a cat. There is no such thing as ~just~ a cat. And Midori's eyes are so much more than just green! She has these amazing chilled mint eyes, that absolutely glow. She's a beautiful and petite lady, who deserves the absolute best! Midori hit BCR's radar last year, when we trapped her two daughters, Chloe and Fiona. She had shown up in someone's garage, and had her family there, and was so terrified of people that the woman who was feeding her assumed she was feral. This year, she decided that the woman who fed her was not as horrible as the people who dumped her out in the country, and decided to trust her with a secret. Midori is not feral! 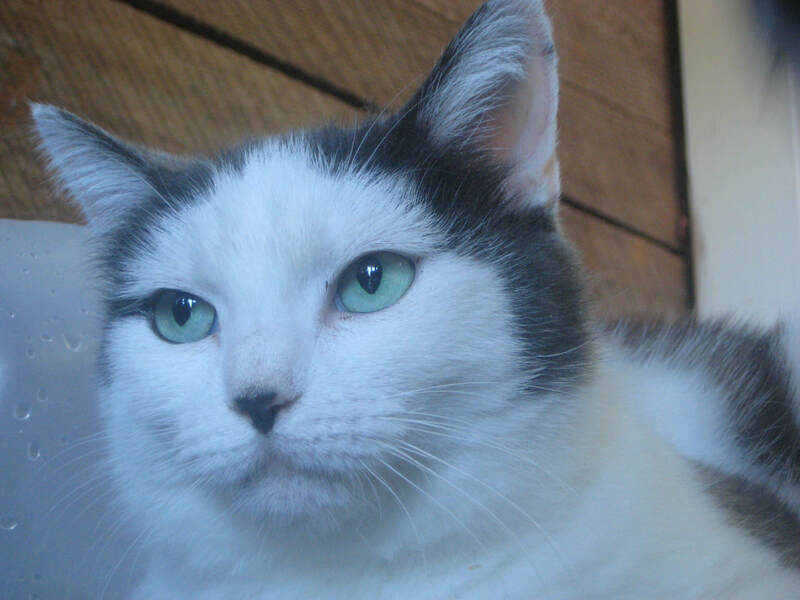 She is a sweet and affectionate girl who wants to be loved, and gives lots of love in return. She is still a bit skittish from her year of living rough, but she is coming along beautifully. She's currently rooming with another mama, and a total of five kittens. (Two are Midori's, three are the other mama's.) She gets along wonderfully with them, and doesn't start any nonsense. She's a very non-confrontational cat. She gets along well with the large breed dog and toddler she's fostered with as well. When she has full run of the house, she gets a little overwhelmed by all the space, but we're working on it. If you are looking for a sweet and gentle soul, with a strong core; Midori might just be your cup of tea!